Marmalade jar seen at Melinsey Mill, Near Truro. Ditto Address. Telephone: Gerrard 9261. Cables: "Keiller, London"
1797 Janet Keiller made the first batch, after her grocer husband brought a distressed cargo of Seville oranges in the harbour at Dundee. 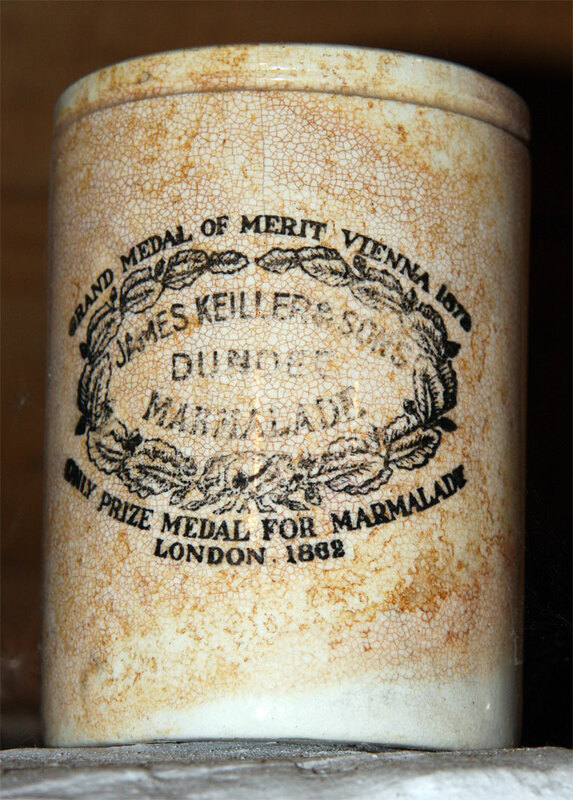 James Keiller set up his company to produce marmalade containing the bitter peel. 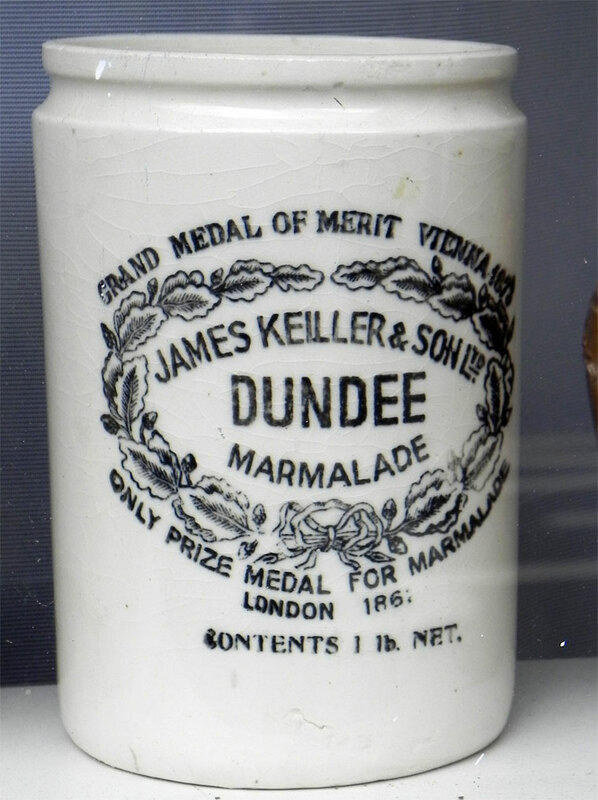 James Keiller, who was unmarried at the time, and his mother, Janet, opened a factory to produce Dundee Marmalade - containing thick chunks of orange rind. The recipe (probably invented by his mother) was a new twist on the already well-known fruit preserve of orange marmalade. 1828 Company became James Keiller and Son when he was joined by his son, James Junior. 1839 James Senior died and the business was then run by his second wife Margaret, her son Alexander (1822-1877) having not yet attained his maturity. 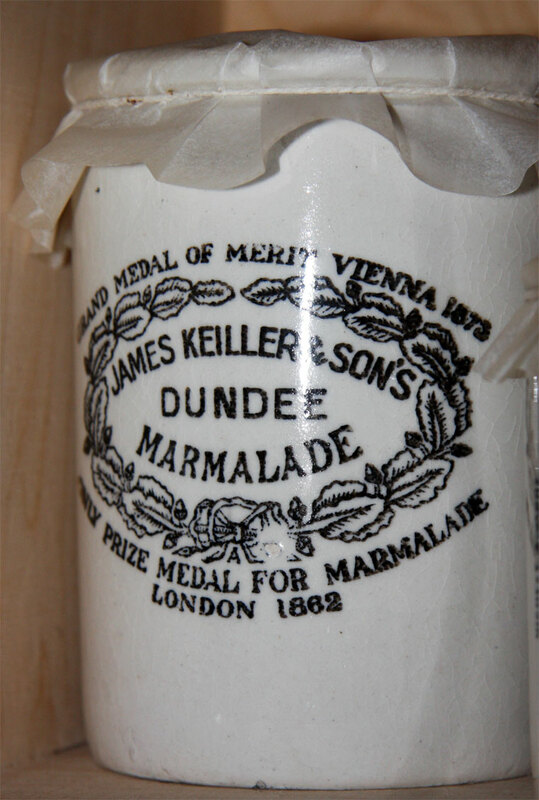 1864 Wedderspoon Keiller obtained a patent for the process of preparing marmalade using machinery. 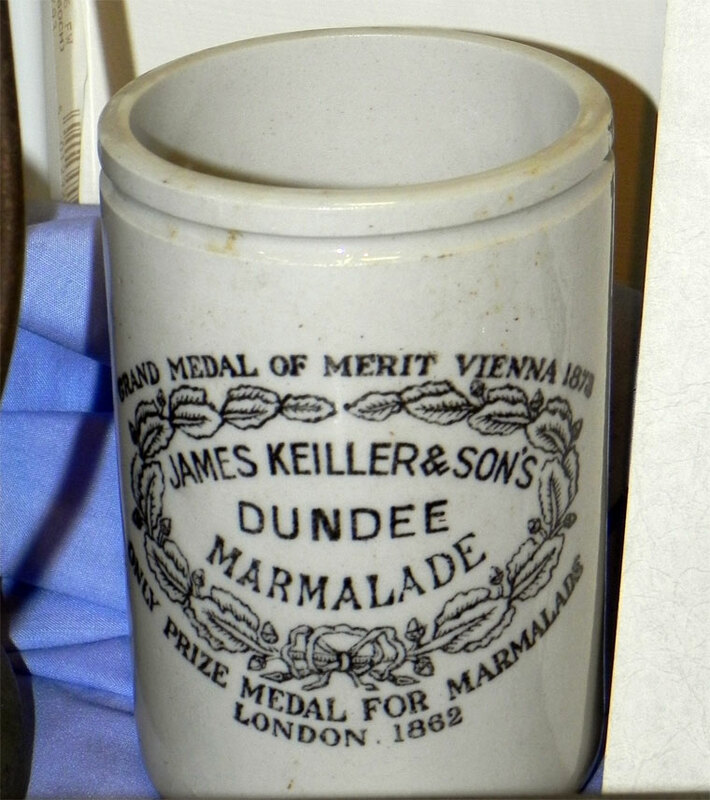 1876 By this time, marmalades popularity had increased. 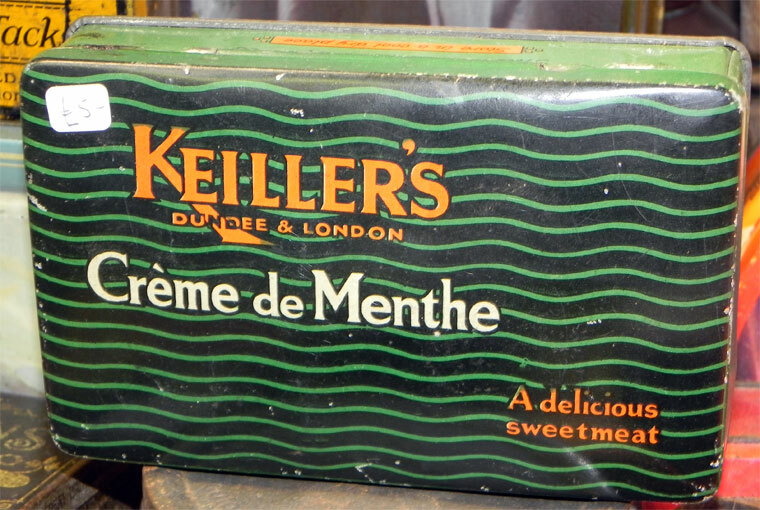 1877 Alexander's son, John Mitchell Keiller, took over the business after his father's death in Gibraltar. 1899 John Mitchell Keiller (1851-1899) died at sea. 1914 Also had a branch in Germany. Directors: James Boyd (Chairman), William Boyd (Managing Director, Dundee), R. Just Boyd (Managing Director, London), Ed. W. Meredith, John Keiller Greig. Secretary: H. Agnew. 2008 The company brand and tradermarks are currently owned by Centura Foods, part of Premier Foods. 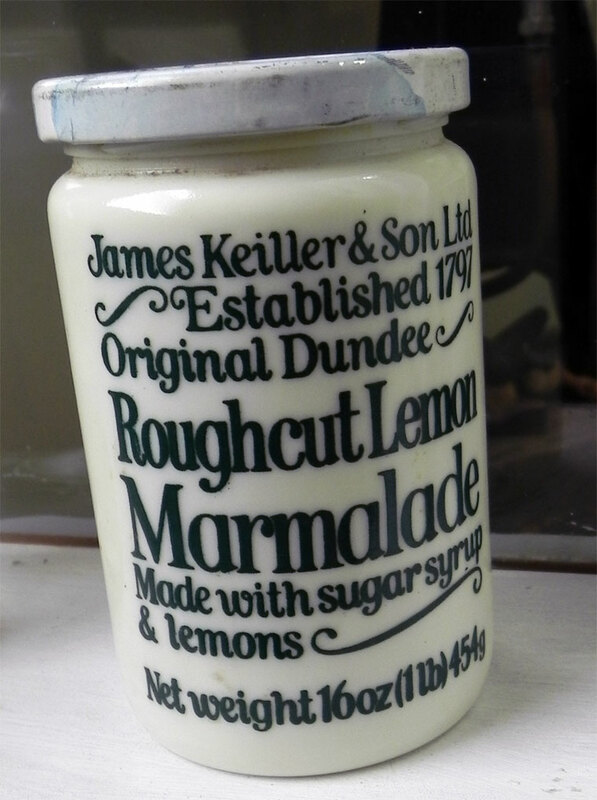 Centura also owns the trademarks for Robertsons Marmalade. This page was last edited on 5 March 2018, at 17:15.